Sukh Sidhu and Ian Kearney, the box-owners of CrossFit Warrington, are giving us a little insight into what happens at his BOX! Enjoy another episode of our Europewide BOX interviews. I was googling gymnastics workouts one day and somehow stumbled upon Annie Sakamoto doing Nasty Girls.. Mind Blown! I wanted to build a community in Warrington and help to positively affect peoples lives through CrossFit, cutting the daily hour commute to my old box was pretty influential as well, although I do miss the dizzle! It has to be our community that stands us apart from other gyms, we are truly blessed. Nobody finishes a WOD alone, nobody is on the path to their goals on their own, we’re all in it together. Add this to our highly qualified and experienced trainers who have experience working with everyone from international athletes to stay at home mums means you’ll be in safe hands whatever your fitness level. We currently have around 140 members, about 70% male and 30% females. Most of our members are new to CrossFit but myself and the other trainers along with a few others are looking forward to competing together as a new gym. Nutrition is a huge part of a healthy life, we guide our members down the right path, have a Paleo Facebook group as well as hosing Paleo workshops. 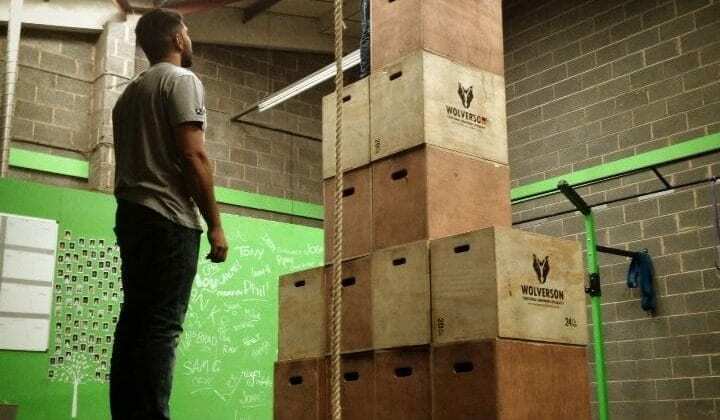 First step is an Onramp where you’re taken through the fundamental movements of CrossFit. Once that’s done we get you integrated into the community and classes straight away. The intensity and movements will be frustrating at first but by the end of month as long as you’ve been consistent you’ll reap the rewards. The gym took part in its first competition recently with 28 members entering Battle of London, it’s definitely given us all the taste for competition and we cannot wait to take part in The Open next year. I owe a lot to CrossFit 3D, it’s where I developed my philosophy and learnt so much about how things should be done the right way in terms of teaching and how an affiliate should be. I still get down there when I can. CrossFit Chester are another new affiliate who have been to visit us and are a great bunch. Yes drop ins are more than welcome, just shoot us an email at info@crossfitwarrington.co.uk and let us know you’re coming.